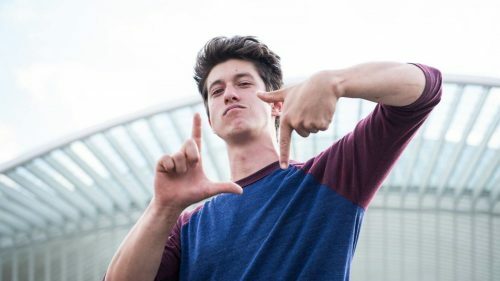 How to provide the perfect platform to communicate with stakeholders and the public on sustainable seafood? 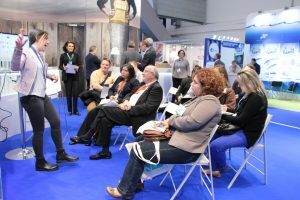 The Seafood Global Expo, formerly known as the European Seafood Exhibition, is the global place where the seafood industry meets. Every year, thousands of seafood professionals come together to meet with existing suppliers, source new products and network with other industry professionals. 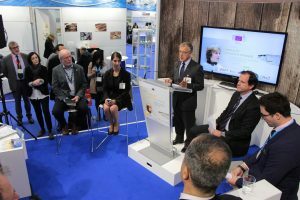 The European Commission Directorate-General for Maritime Affairs and Fisheries (DG MARE) has participated in the Seafood Expo since 1995 to meet with professionals and provide information on European policies to boost the European fisheries and aquaculture sectors and make them more environmentally, economically and socially sustainable. For the fourth year in a row, Cecoforma created a visual concept for DG MARE’s stand and managed it during the expo. DG MARE experts as well as representatives of other DGs of the European Commission (SANCO, TRADE) were present to answer questions posed by the visitors and exhibitors. 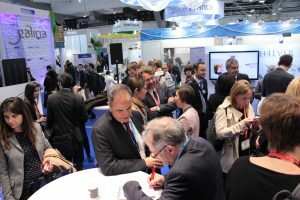 Our stand gave maximum visibility to DG MARE at Seafood and facilitated interaction between professionals and the European Commission. This success was due to our optimal stand design as well as our team, which informed visitors and created a welcoming atmosphere. 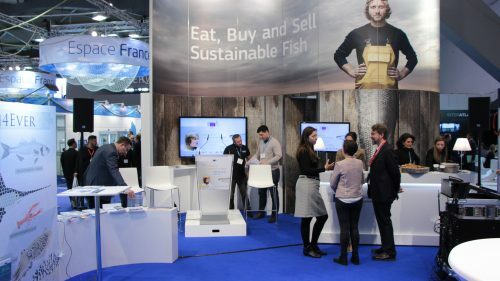 DG MARE’s participation in the 2017 Seafood Expo was linked to its INSEPARABLE campaign, which had as its message: Europe, its seas and everything they contain are inseparable - Make a difference by eating, buying, or selling sustainable seafood and help ensure future generations have the same love story we have with our fish today. The stand, which was designed around this theme, was open on three sides to allow easy access for the public and hosted several meetings, events and cocktail receptions. 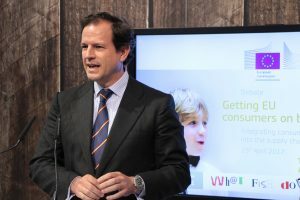 For three days, Cecoforma welcomed visitors, handed out promotional materials and organised information sessions and meetings as well as a one-hour debate hosted by the Director-General of DG MARE. 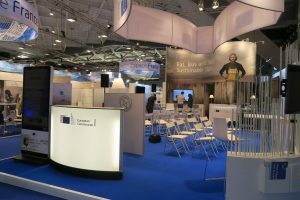 We also managed public relations for the stand, reaching out to stakeholders present at the Seafood Expo via mailings and a dedicated website to keep them up to date on European Commission speakers and activities. 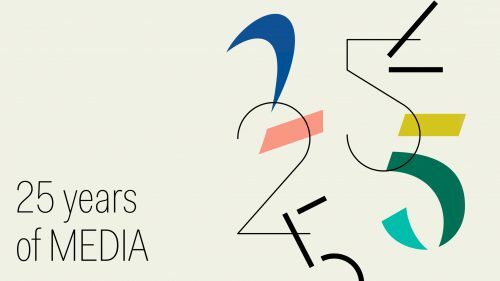 Everyone can contribute to a dynamic new identity for the city that brings people together.